If you have just walked away from a recent car accident scratch-free, but the same cannot be said about your vehicle, it is important to learn whether or not your car is a total loss. Continue reading to learn what it means to have a total loss vehicle, and what you can do if this is your current situation. A vehicle can only be deemed a total loss by the insurance company. An insurance adjuster will come out to inspect the vehicle and determine whether or not it is totaled. A total loss vehicle is one in which the cost to repair it back to the condition it was in before the accident is MORE THAN the market value of the vehicle before the accident. For instance, if your car is worth $3,000 on the current market, but after your accident, the total cost of repairs is estimated to be $4,400, then the car is totaled. You generally have two options when your car is deemed totaled by your insurance carrier. You can either file the claim to receive compensation from your insurance provider (the amount of compensation will depend on various factors, including your particular policy terms and the market value of your vehicle), or you can refuse to file it with your insurance and keep the car. If you choose to file a claim with your auto insurance carrier, they will take the vehicle, title, keys, and license plate out of your possession. If you do not file with your insurance carrier and decide to keep the vehicle, you will receive a new car title that shows the total loss. This is called a salvage car title. You will need this salvage car title if you want to sell your totaled vehicle. You can choose to sell a totaled vehicle privately, among the local community, but you will have better luck selling it to a professional junk car buyer in your town. 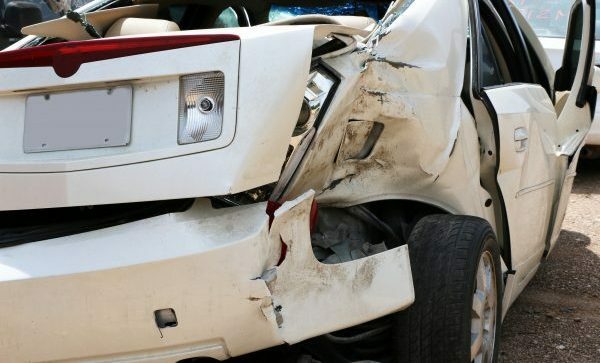 Depending on your policy benefits, you may get more money for your totaled car through an Indianapolis Cash For Cars Company, rather than an insurance claim. We Will Pay Top Dollar for Your Totaled Car! This entry was posted in Junk Car Buyers, Salvaged Cars and tagged Indianapolis cash for cars company, Indianapolis junk car buyer, sell a totaled car, totaled car options, totaled car title. Bookmark the permalink.